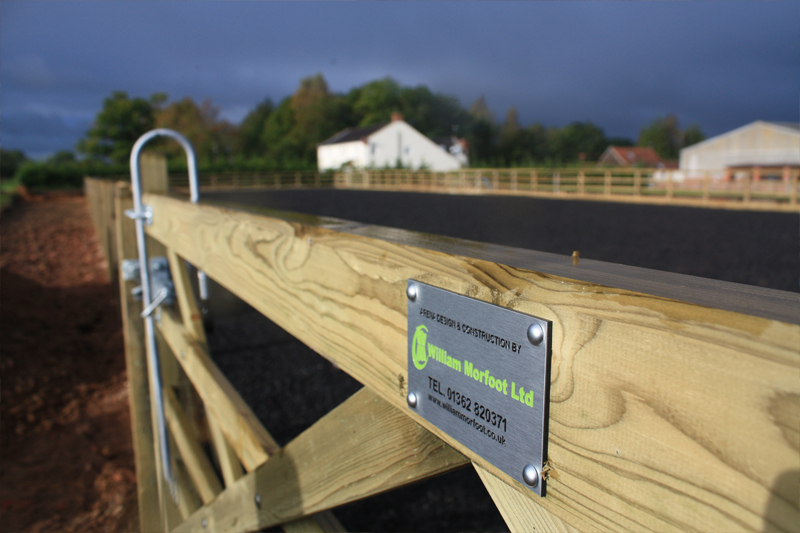 Vital to maintaining horse health and guaranteeing year-round exercise, arenas are proving to be a necessity for many in the equestrian world as they battle against ever increasing amounts of rainfall. With a variety of surfaces, materials and sizes, it’s hard to know where to begin when planning your own private or commercial equestrian arena. Having a vision is very important to the start of any arena construction project. Arenas are incredibly personal and can be designed to suit any environment or space. Some arena owners want to create a feeling of outdoor space to compliment surrounding fields. Others look for a very formal style, particularly if they take part in dressage or eventing. A simple understanding of the desired appearance and frequency of use usually helps to determine the overall starting point of the build.